Visualize your wedding at One North, an extraordinary new dining experience from Anthony Scotto – creator of Insignia, Blackstone & RARE650 restaurants. Celebrate in a completely re-imagined North Shore mansion that’s exclusively yours for the day. One North is a unique departure from the “typical”, featuring dramatic spaces with an endless panorama of glass offering gorgeous views of lush, landscaped gardens, a suspended wine loft and an open kitchen. 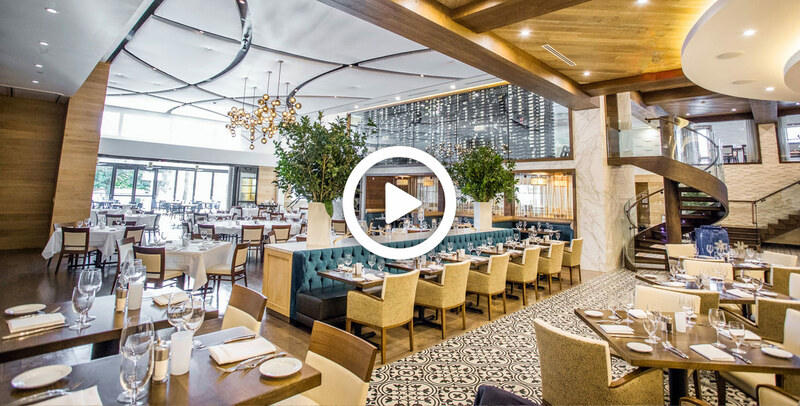 It’s textured, modern design has a distinct flavor all its own, as does One North’s Mediterranean-inspired cuisine: fresh whole-composed fish, hand-made pasta, raw bar and prime steak and chops. All complemented by the perfect wines and signature cocktails. So take your wedding in a refreshingly different and unexpected direction – One North. We recently had our wedding at One North (approx. 148 guests) and had the most positive experience. All of our guests are still telling us how much fun they had! The level of service we experienced was impeccable. Christine was amazing in walking us through the process from our first meeting to the wedding day. We felt very confident and comfortable with her overseeing everything. The day of, all the servers and workers were phenomenal. We felt so pampered and so did our guests. Joe did an especially good job keeping drinks in everyone’s hands! The food and drink were out of this world! All of our guests loved everything and really enjoyed the relaxed atmosphere. So many people have commented that they enjoyed being able to choose between sitting at the bar, lounging outside by the fire pit, or being on the dance floor. It really created a nice feel. We are so glad we chose to have our wedding at this stunning restaurant. It was elegant and relaxed, with phenomenal food and drink and impeccable service. Exactly what we were looking for- we are absolutely delighted with One North! 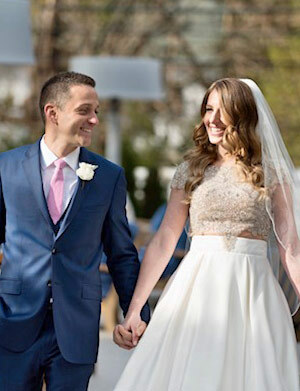 We couldn’t be happier or more impressed with how Christine and the entire staff at One North ensured PERFECTION on our Wedding Day.. May 27, 2018 My husband and I both received so many texts/emails/ phone calls to tell us how much our they enjoyed our wedding: “This place is gorgeous; the décor is stunning” “The food is out of this world; oh my goodness those sliders” “You guys hit it out of the park; everything is perfect” “I never tasted prosciutto like that, not even in Italy” “Every time I turned around the waiter/bartender was ready with my drink” “everyone is so nice” “oh that mozzarella bar you’ve been talking about.” Christine was fantastic! We met in Spring 2017 while the venue was still under construction. She was so enthusiastic and explained the incredible sound system/showed us pictures of furniture/ architectural accents/plans for the mozzarella bar and lush garden (where our ceremony was to be held). We were hooked! Well it poured the morning of our wedding. My husband and I couldn’t believe how AMAZING the inside looked. Christine made sure that it was even more beautiful than we had envisioned (having outside). Wow, it was incredible, it definitely exceeded all expectations for an indoor or outdoor ceremony. The staff greeted all of our, early, guests and the celebration began. The whole day was magical, beautiful and fun! All of our guests LOVED the cocktail hour/ passed hor d’oeuvres and mozzarella bar. I recall many of them saying, “I can’t imagine what’s for the main course.” That too was magnificent; Branzino, prime filet mignon, Chilean sea bass, Salmon, Gigli pasta Wagyu short rib. Oh, not to mention the delicious starter, Greek salad with octopus Carpaccio. Honestly, we could go on and on about the food and the ambiance and mostly the staff. Finally, Christine was the best, she was professional, knowledgeable, easygoing, attentive and LISTENED to what we wanted and made it happen. We would highly recommend One North for a classy, entertaining wedding with delicious food! 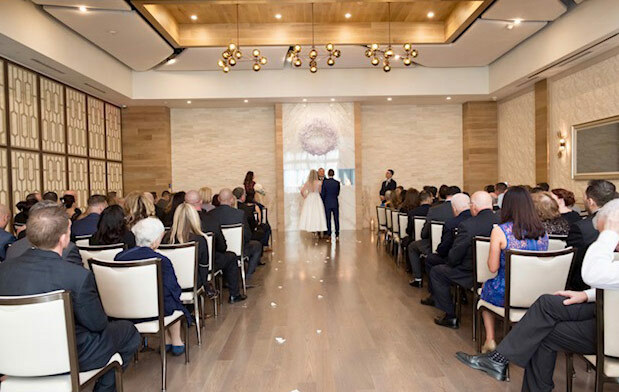 We had our wedding ceremony and reception at One North on June 9, 2018 and it was absolutely amazing! The event planner, Christine, helped us from start to finish. She was always cheerful and available. Our ceremony was outside in their beautiful courtyard. The indoor and outdoor space was perfectly arranged for our 100 guests. One North, Christine and her staff provided us with a wedding day that was magical. Our guests were so impressed with the menu offered and the fine restaurant quality meals. The service was impeccable. Everyone enjoyed our wedding day at One North!!! There are just no words to describe how perfect and amazing our wedding was at One North on 12/2/17. 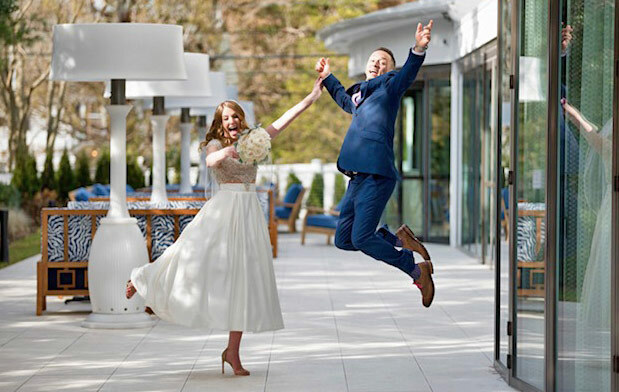 Besides the space being over the top fabulous, the food phenomenal, and the service amazing; Christine, the event planner & Jon Hayduk, the general manager made everything so easy and special for us! It was EXACTLY what we wanted…a cocktail party wedding. No structure, just FUN. And it was. People cannot stop raving about the day and we personally want to do it all over again. We never wanted it to end. Thank you One North for everything. We were your first wedding & we cannot wait to come back!! !